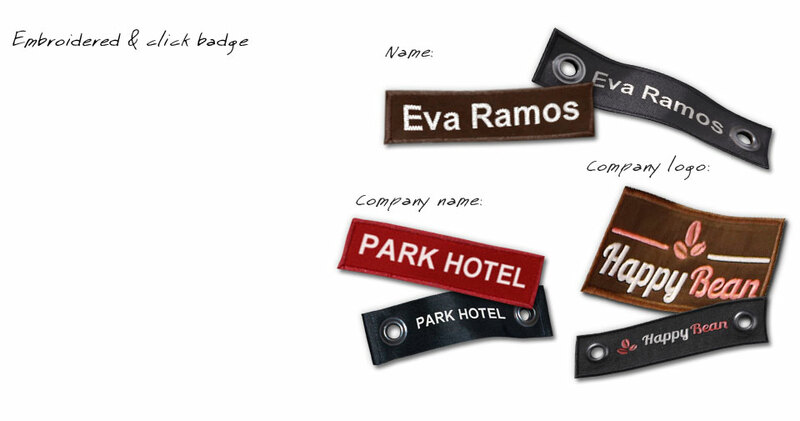 Would you like your own name on the embroidery or click badge? 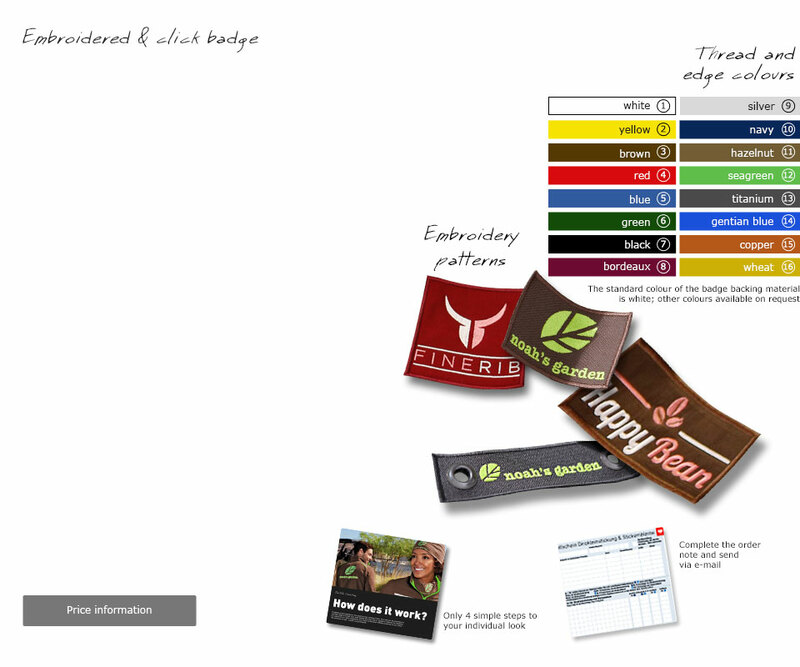 Choose the colours of your badges. The 16 yarns, material and edge colours, 6 fonts and a maximum of 15 characters offer plenty of choice when designing your embroidery or click badge. The embroidery badge has a surface of 10 x 2 cm on one line offering space for your name; your name can be embroidered on 2 lines on the form-stable click badge. Our sewing shop works with state-of-the-art machines and software to ensure that your motif is produced quickly and inexpensively. Designing embroidery and click emblems can be tricky, so it is worth calling us for help. We use polyester yarns that are durable and therefore suitable for workwear that undergoes heavy wear every day (e.g. constant wear or frequent washing). is 2-3 weeks after final order has been clarified. Company names on an embroidery or click badge look very professional. 16 yarn, material and edge colours, 6 fonts, maximum 15 characters: The embroidery badge allows you to present your company name on 3 lines. 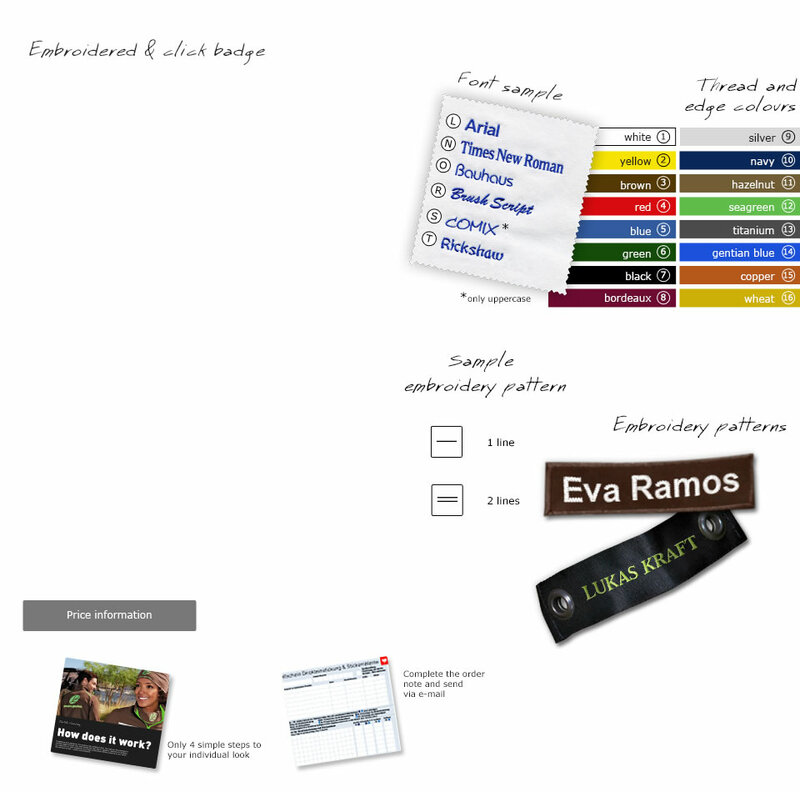 The click badge offers 2 lines for a professional image. The minimum quantity is 10 units; the delivery time for first-time orders is approx. 2-3 weeks after the final order has been clarified. Follow-up orders can be delivered approx. 2 weeks after the final order has been clarified. Your company logo also looks great on our embroidery and click badges. 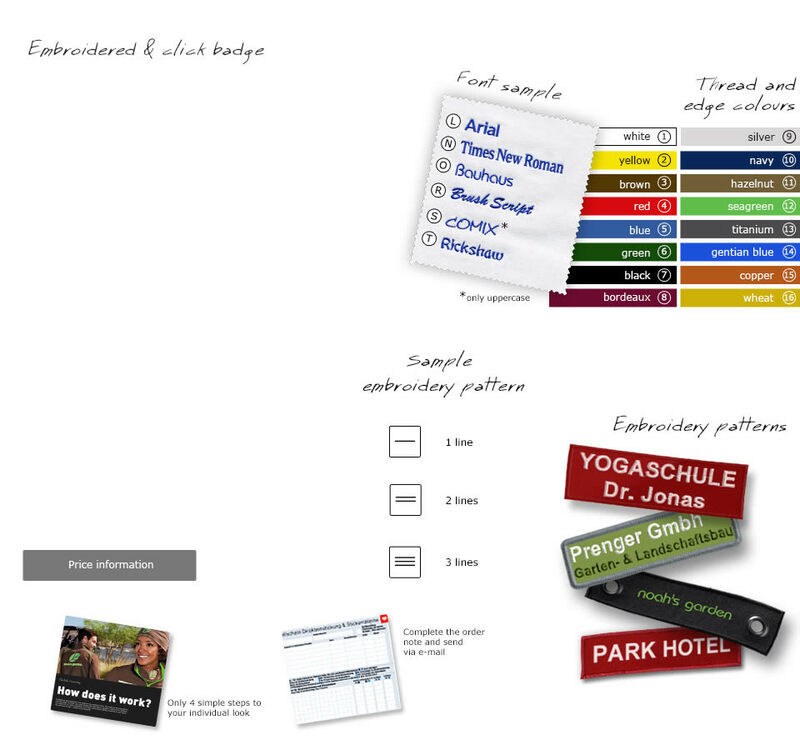 We produce company logo embroidery badges up to a size of 390cm²; click badges can be max. 9 cm wide and 3 cm high. We need a template to reproduce your logo true to the original. € 1,80 ohne MwSt. / € 2,14 inkl. MwSt. € 1,50 ohne MwSt. / € 1,78 inkl. MwSt.